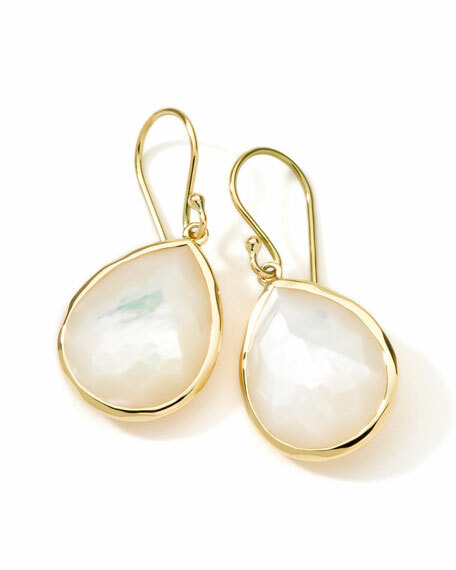 Playful but elegant, modern but inspired by classical designs, these Ippolita earrings are at home in almost any look. 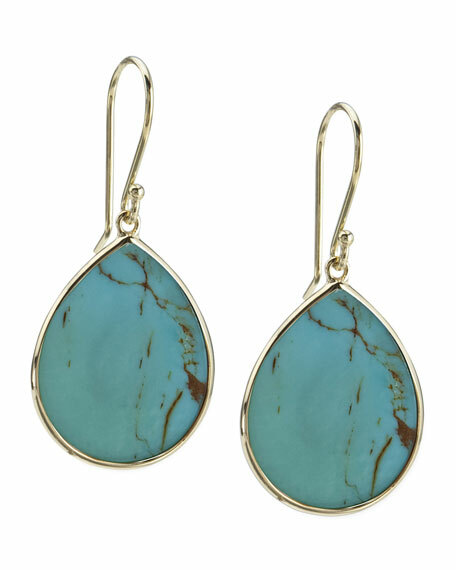 Fluid gold displays straightforward slices of turquoiseone of our current favorite colors. Offering a clean, light feel, it's the perfect way to make a splash at your next event. 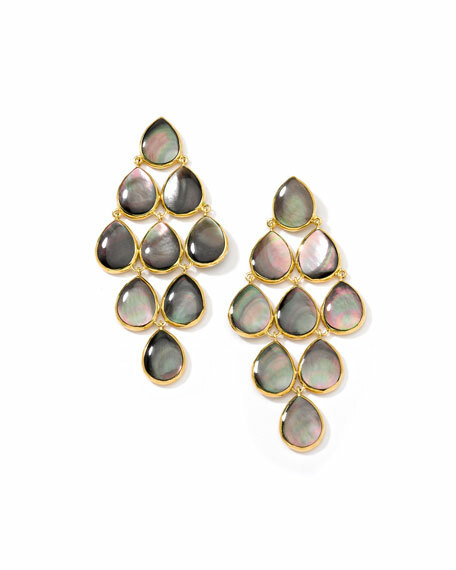 Glamazon Collection earrings by Ippolita. 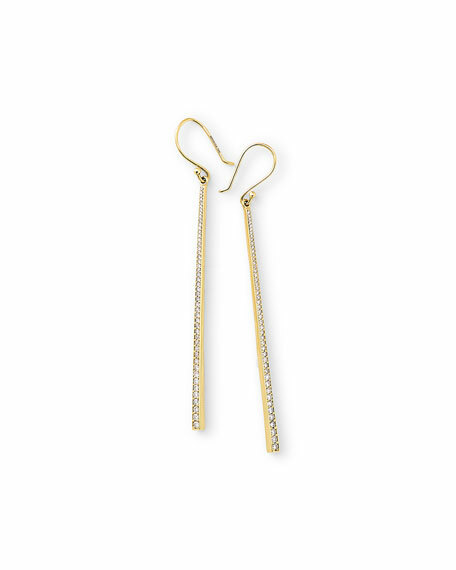 Thin elongated drops in 18-karat yellow gold. Pave white diamonds. 0.62 total carat weight. French wire backs for pierced ears. Approx. 2.6"L. Imported. Ippolita icon "Lollipop" earrings in signature hammered 18-karat yellow gold setting. Doublet drops of faceted clear quartz over mother-of-pearl. French wire backs. Approx. 1.2"L x 0.6"W. Imported. 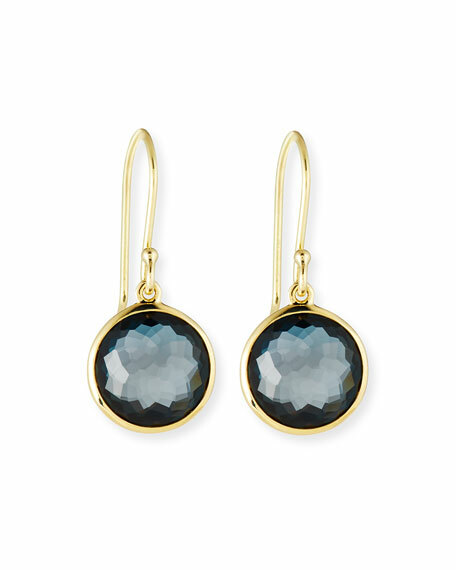 Ippolita earrings from the Polished Rock Candy Collection. Polished 18-karat yellow gold hardware. Smooth bezel-set teardrop stones in cascading dangle. For pierced ears. Approx. 2.4"L drop; 1.2"W.